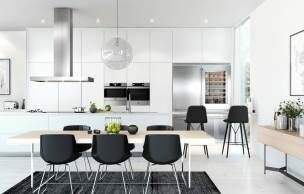 Contemporary Australian kitchens are expansive spaces designed for entertaining, and the smooth, clean form of ASKO appliances make them ideal for smart kitchens where dishwashers, steam ovens, wok burners, rangehoods and more work together in harmony. 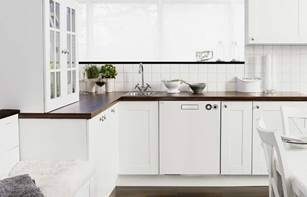 Progressive ASKO dishwashers are the powerful way to clean the dishes, and when the washing up is done, your ASKO appliance can even clean itself to ensure your kitchen always looks and smells fresh. In the past, dishwashers were an underused eyesore that wasted space, gathered dust and concealed rotting food scraps. 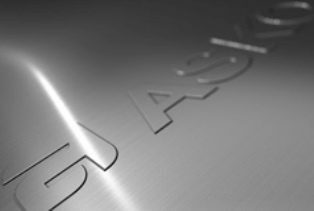 Fast-forward to 2018, and all that has changed thanks to prestigious appliance developers such as ASKO. Today’s dishwashers are genuine kitchen assistants that can handle the tough jobs, and when using an ASKO dishwasher you don’t even need to pre-rinse the dishes. ASKO dishwashers target all food residues using multiple powerful jets of piping-hot water and dedicated spray zones. The trays and baskets are adjustable, allowing you to stack and wash dishes your way, and when you want to ensure your appliance is ready for its next use, simply run the ASKO dishwasher self-cleaning program for automatic results without having to lift a finger. ASKO dishwashers perform seamlessly and also fit snugly with existing kitchen cabinetry as a built-in or fully integrated appliance. It’s even easier to clean the exterior or door of your ASKO dishwasher, and with a wipe over with a soft cloth and mild detergent, your appliance can be fully concealed or stand-out and look showroom-clean. The choices are all yours with ASKO. ASKO designers and manufacturers understand the full potential of multifunctional products. Versatile technology coupled with superior manufacturing enable us to create dishwashers that multi-task, and even clean themselves. With ASKO, there is no double-handling during the rinse and wash phases, as the appliance does the tough rinse for you, allowing you to keep the kitchen clean with minimal effort. There are innovative design considerations that facilitate easy cleaning of ASKO dishwashers. Scandinavian appliances are all about balance and harmony, including faultless operation and convenience when it’s time to get down to hard cleaning. Here are just some ways ASKO dishwashers make washing up a breeze while simultaneously remaining clean and free from unwanted odours. Extra Large Capacity: Wash larger loads with dishwashers designed for 82cm and 86cm cabinetry. Seamless design and construction makes generous loading possible. Turbo Drying: Remove moisture once the cycle is complete, allowing dishes to dry, streaks to disappear and your appliance to remain clean. Flexible Racks: Save energy and water by doing all your washing at once using targeted hot water jet spray zones and flexible dishwasher racks. Self-Cleaning: For hygienic cleaning of the dishwasher cavity, spray arms, spray pipes and spray nozzles, using mild detergent or citric acid. 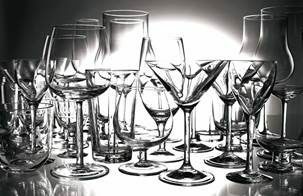 What are the reasons my dishwasher might not clean the dishes properly? It’s rare for an ASKO dishwasher to malfunction, and with regular cleaning and maintenance your appliance should perform reliably for many years. The powerful motor of your ASKO dishwasher drives forceful cleaning energy through dedicated hoses and jets that are easily disassembled and reassembled for occasional maintenance. You should also inspect your dishwasher drainage regularly to ensure there are no blockages that could affect performance. All hoses, filters and connections are easy to remove and replace, allowing you to oversee many of the most important functions of your ASKO dishwasher maintenance program. If you are having difficulties, consult your product user manual for more information. If all else fails, contact your local ASKO service representative, as your appliance is covered by an extensive warranty. 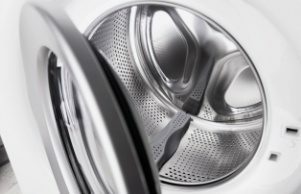 Do ASKO dishwashers clean well? The uptake of ASKO appliances by Australian consumers isn’t by chance. In fact, the majority of new ASKO users have learnt about the superior performance and functionality by word of mouth or first-hand experience. 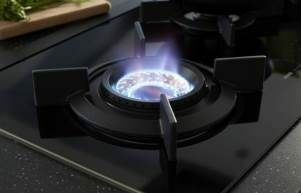 After many decades of appliance evolution, including the union between technology and industry, ASKO continues to lead the field in kitchen and laundry appliances and products. Customers appreciate the superior cleaning performance, quiet operation and usability of ASKO dishwashers. Our dishwasher range is unmatched, with products and prices tailored for all types of Australian households, and when dishwashing results in warm, dry and streak-free crockery, cutlery, pots, pans and even some plastics, you are on your way to establishing an entertainer’s kitchen. For almost any dishwasher brand but ASKO, pre-rinsing the dishes prior to placing them in the dishwasher is essential, and almost negates the value of having a dishwasher in the first place. It’s a different story with ASKO dishwashers that provide modes and functions for every purpose, including the pre-rinse function for blasting stuck on foodstuffs with powerful hot water spray. The pre-rinse function is just one of dozens of ASKO dishwasher programs for tailoring your household dishwashing. Whether you need a small dishwashing job done, or require the dishwasher to constantly turn over clean, dry dishes while entertaining, your ASKO dishwasher is adaptable, up to the task, and always looks its best.